A cook's, chef's or French knife, whatever you call it, is indispensible in any kitchen. Equally good at jointing and slicing, chopping and dicing vegetables, and a range of other kitchen tasks, it's a one-bladed wonder. The gentle curve upwards from the blade to the point facilitates an easy rocking motion that makes quick work of slicing and dicing while the wide, flat blade makes mincing a cinch. View more from Chef's & Cook's Knives, Wusthof Silverpoint. Being an avid amateur chef, I expected a Wusthof to exceed my expectations but was sadly disappointing! Unless the knife is supplied with a dull edge, I have in my kitchen superior, cheaper and keener edged products. The knife is very well balanced and ergonomically satisfying, but lacks the performance expected from a product "as seen on TV!" I feel that I should maybe have spent more?? Just what I wanted... very sharp. Very impressed with the knife. Extremely sharp. Only thing is the blade could be thicker on the top side. 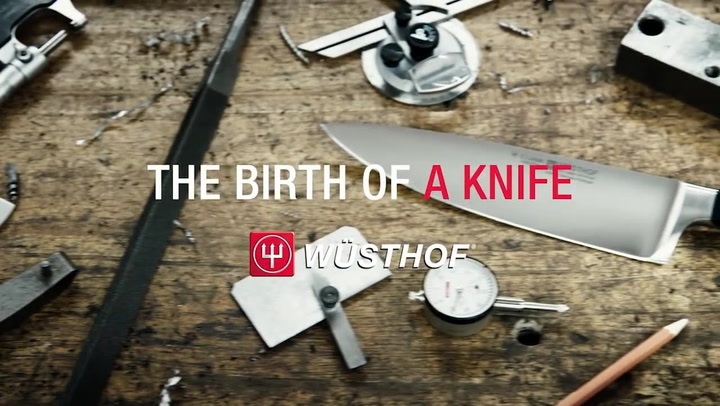 The Wusthof range of knives are to my knowledge by far the finest on the market. I have 3 of them & although the silver point 20cm is at the lower scale of costs it represents quite the best value for money. With their 3 bladed sharpener the blades remain like razors for weeks.